Our clients are smart people who do amazing work but want help presenting their ideas better. Click on the tiles below to learn how we helped these teams be more confident and engaging presenters! Want to learn more about how we can help your team? Let’s chat! Want to learn more about how we can help your team be more confident, engaging presenters? Let’s chat! 3, 2, 1… Xero’s "Laugh & Learn" Public Speaking Workshop! Xero’s leadership team believes no matter your role, the ability to communicate confidently and effectively brings real value to the organization. To this end, Xero hosts monthly “Lightning Talk Sessions” giving its employees a chance to sharpen their public speaking skills. In support of this program Pitch Lab was invited in for a special “Laugh & Learn” workshop where attendees had the opportunity to receive actionable feedback on how to improve their timing, delivery and room command. After learning Pitch Lab’s Top 5 Public Speaking Tips, it was time to practice and reflect on how these skills can be immediately implemented in their next client meeting. Mitch Hedberg One-Liners — This time with Dramatic Pause! Time for reflection about how these skills will translate to more Productive client and team meetings! Your audience doesn’t want perfection, they want your connection. Want to learn more about how Pitch Lab can help your client-facing team differentiate from the competition, build better relationships and win more deals! Let’s chat! Pitch Lab Headlines Denver Startup Week 2018! The first time I bombed on-stage was a total nightmare. But my first sales flop was even worse. I flew to Michigan to sell a technology I didn’t understand. Right before the meeting started, I couldn’t catch my breath. I was light headed enough that I didn’t know if I should stand up or sit down. Minutes felt like hours. It was the very definition of death by PowerPoint. Then I started using the techniques I learned as a stand-up comedian: authenticity, vulnerability & breaking the 4th wall. Not only did my presentations improve, but I was building real connections. And feeling confident about the value I provided. This year at Denver Startup Week Pitch Lab shared what we’ve learned over the past 20 years to help Denver entrepreneurs build better relationships, differentiate from the competition and win more deals! Creative Inspiration from Comedians @ Integer Denver! 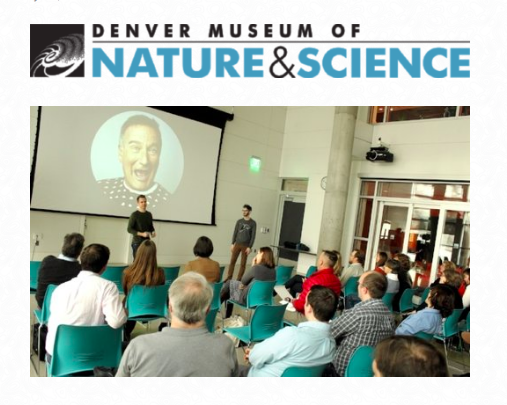 Integer Denver collaborates with Pitch Lab to get a burst of inspiration from our favorite comedians and brush up on our presentation skills! The two-hour session was hosted by Pitch Lab’s founder, Jay Mays and 12-year stand-up comedy veteran, Daniel Reskin. Pitch Lab integrated techniques from Jerry Seinfeld, Chris Rock and Sarah Silverman to teach us how to master voice control, stage presence and storytelling to make an authentic connection with our audience. To practice our skills, we tried our hand at comedy karaoke, improv comedy and wrapped up the workshop by pitching... Meat Water. And found out we aren’t half bad! At least… that’s what we think. We’ll let our clients be the judge in our next presentation! At Pitch Lab, our clients are smart people who do amazing work but want help presenting their ideas better. Want to learn more about how we can help your team? Let's chat! Have you ever bailed on buying a product or service because you didn't like the salesperson? Have you ever bought something you didn't need because you really liked the salesperson? Us too. At Pitch Lab we believe that when it comes to sales, you are the differentiator. Especially in professional services. "Public speaking skills can be incredibly beneficial to just about anyone’s career, including Inflow’s team members who may not speak to large audiences but do regularly present information to potential and existing clients. Often times, public speaking can be a boring topic to delve into but our team recently learned how it can be made much more enjoyable. Enter Pitch Lab! Last week, Jay Mays and Daniel Reskin of Pitch Lab came to Battery621 to demonstrate how they’ve combined their comedic talents and sales experience to capture the attention of their audience, leverage psychology to keep them on your side, and ultimately close the deal." Click here to read the full article on Inflow's Website! If You Blow the Pitch, You Won’t Win Regardless of the Idea @ Regis University! Regis University wants its students to be successful on their career path, especially if it's the road less traveled. That’s why the College of Business and Economics created the Regis Innovation Center. The Innovation Center is a great opportunity for budding entrepreneurs to hone their ideas and build their teams, culminating with a massive Innovation Challenge where entrepreneurs get to present their ideas in front of hundreds of potential investors. Knowing that public speaking is a weakness for most Dr. Ken Sagendorf, Professor and Director at Regis University Innovation Center, thought it would be beneficial to equip his entrepreneurs with the skills necessary to “nail” their pitches. "You can have a flawless business plan, a marketing strategy that is innovative and unique, but if you don’t know how to convey any of those messages, connect with the audience, portray confidence and really sell the judges on what you’ve been able to accomplish then you are not going to complete that mission. You need to know how to pitch it. Period. Jay brought a comical and relatable feel to what is arguably the hardest part of this competition. It’s difficult to give a presentation, let alone a presentation that you have poured all your time, love and energy into. They want to get it right, and we want them to get it right too!" In 2008, Stewart Butterfield was an entrepreneur building a desktop game at a time when users were migrating over to mobile devices. Consequently, after only a few years Stewart and his partners made the difficult decision to shut down. Stewart broke down in tears telling his staff it was over. They then offered the VCs their remaining money back, about $5 million, but were told to keep it and try to build something else with a skeleton crew. Why? Because the investors believed in Stewart. Even without a new business plan in hand. And from the ashes of a gaming company, Slack was born. Dr. Ken Sagendorf & Team Honing Their Improv Skills With 1-Word Stories! “Jay and Pitch Lab worked with our students and their businesses in the Regis Innovation Challenge. The difference between their pitches in the semifinals and finals was night and day. One student in particular worked a bit extra with Jay. I was in the back of the room the morning of the finals as he practiced, talking himself through Jay’s pointers. “Jay left our program better than he found it. Not only did all of the startups improve their overall presentation, but those that did not win top prizes went on to be approached by community members to talk about potential outside investment. 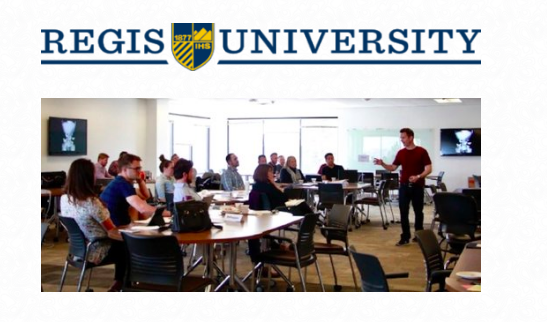 Click Here to read the entire workshop recap on the Regis University Innovation Challenge Website! Stand Up for Staffing @ Robert Half Technology! 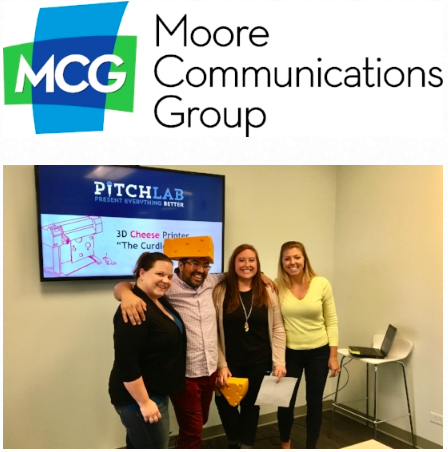 Pitch Lab teams up with Robert Half to help the world's largest specialized staffing firm be more confident, engaging presenters! “Who knows what the number one fear of the average American is?” Jay Mays asked the room at large. “I’ll give you a hint, the number two fear is Death.” We took a few guesses, including spiders, heights, and even in-laws to a few chuckles. Whether speaking to board-room of peers or pitching services to a prospective client, public speaking can be a challenge even for the most seasoned sales professional. At Robert Half we are constantly working to find the best talent for our clients and the perfect job for the candidates we represent. Making the perfect hire the first time around is critically important, so the ability to present our services and advocate for our candidates is essential in our day to day work. That’s why we invited Pitch Lab to come work with our team at Robert Half to talk about how to become more engaging speakers using principles of stand-up and improv comedy. As a 20 year sales veteran and stand-up comedy producer, Jay Mays brings together what may seem to be very different worlds to help teams have fun while becoming more effective speakers. Alongside Daniel Reskin (named Best Comedian in Miami), they took us through a 2-hour workshop on how to bring our presentation skills to the next level. The workshop started with a round of Comedy Karaoke, where participants took turns stating their public speaking goals then delivering one-liners from comedy legends including Steven Wright, Demetri Martin and Mitch Hedberg. After going around the circle and much applause, they asked the participants how they felt on stage. We learned how the feeling of nervousness is much closer to excitement than calm. Rather than making the feeling go away, we want to re-frame how we think about those feelings in the first place. Jay and Daniel drew many examples of how the great comedians were so engaging. From Chris Rock's famous use of repetition and stage command to Robin Williams vocal inflection, we focused on actionable tips and tricks to hold a room’s attention. We spoke as well about how natural pauses can feel so awkward on stage, but that we can actually be much more effective by embracing silence and using it to illustrate a point. Just holding a pause for a beat longer can be a great way of getting people’s attention. A major topic was the importance of authenticity when communicating to an audience. By telling more personal or emotional stories, we give the audience a glimpse into who we are. We can build trust by allowing ourselves to be vulnerable. Similarly, we discussed how powerful it can be to simply say “I don’t know” to a candidate or customer. That kind of honesty both shows confidence and builds credibility. From there, we explored how to think on our feet with improv games and exercises. A handful of participants went up in front of the audience to tell a “one word story,” where we were challenged to create a cohesive story by taking turns adding a single word at a time. Another exercise brought partners together to imitate the body language and vocal mannerisms of the other. Finally, members of our team did a comedic entrepreneurial pitch on the virtues of Transportation Llamas to tie the afternoon together. Jay and Daniel left our team not only with valuable takeaways on how to increase our engagement and bring greater value to our clients, but also the tools to continue learning in our own community. From open mic nights to improv comedy groups (and future Pitch Lab Workshops! 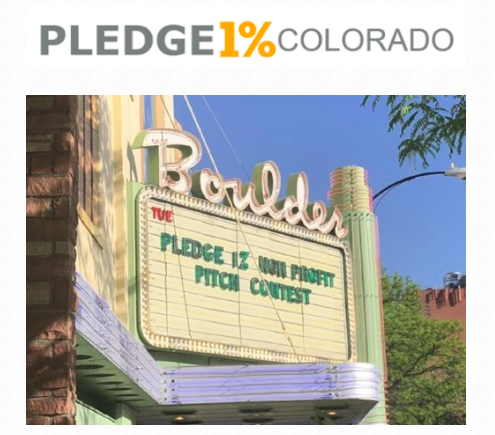 ), there are no lack of opportunities in Denver to practice mastering the pitch. We left for the afternoon with plenty of laughs under our belts and excited to apply what we learned in our work here at Robert Half. "Many thanks to Pitch Lab for their awesome work! Our workshop was entertaining, engaging and educational. I highly recommend them for any team looking to improve their public speaking and pitching skills!" Want to learn more about how Pitch Lab can help your team be more confident and engaging speakers? Let's chat! MBA Students Learn the Art of the Pitch @ CU Boulder Leeds School of Business! 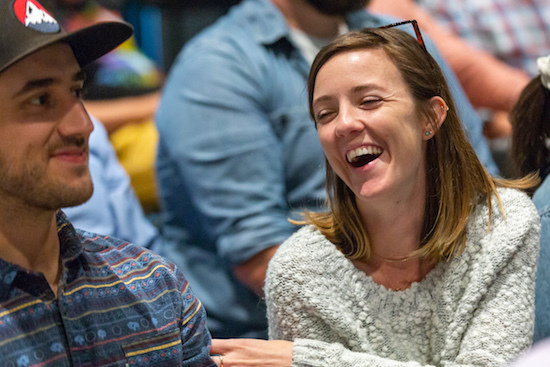 In a unique, professional development workshop, Leeds MBA students learned how to harness public speaking techniques used by their favorite comedians. 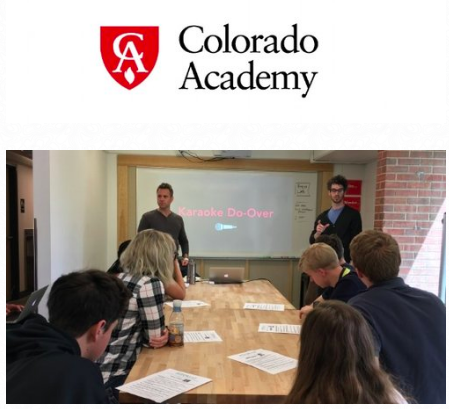 In collaboration with Dr. Peter McGraw, Pitch Lab helped incorporate communication, creativity, and charisma lessons into CU’s already stellar Marketing Management course. “These skills are valuable for your pitch and in the real world – business schools tend to overlook these lessons,” explained Professor Peter McGraw, who considers these skills essential to the MBA student experience at Leeds. “The Pitch Lab guys are engaging, funny, and, most importantly - practical. They provide valuable public speaking tips that can be used to improve presentation skills and life in general.” -- Cory J. “Simple, engaging and brilliant stuff for anyone who talks.”-- Vijay Y. “Outstanding workshop. Ideas presented in an easily digestible way that the audience can then put into action. Excited for my next presentation to put these ideas to work!” -- Hank P.
“Pitch Lab made me excited to get up in front of people and share my ideas!” -- Elizabeth S.
“Pitch Lab should be mandatory for anyone who has to or wants to open their mouth.” -- Eddie M.
Click here to read the full article on CU's Leeds School of Business MBA Blog.